"This Is The Greatest Show!" "There Are Other Tournaments... But There is ONLY ONE WORLD CLASSIC!" 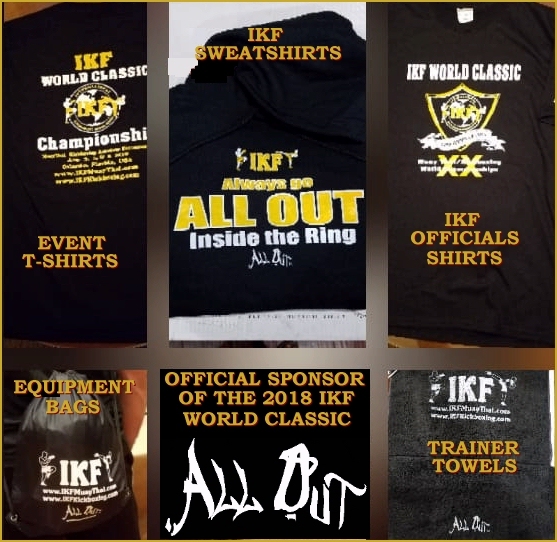 WAS OUR OFFICIAL IKF MERCHANDISE SPONSOR! 10 OF THE SCHEDULED 10 FIGHTERS CONFIRMED TO COMPETE SHOWED UP TO "WALK THE WALK! WEIGHTS LISTED ARE WEIGHT FIGHTER WEIGHED IN AT. JUNIOR BANTAMWEIGHT / 60.1 lbs. - 65 lbs. Ayana Hatcher (Jacksonville, Florida, USA, 0-1, 65, 4'4", 11, 10-20-06, James Smiley, (904) 600-7909) by split decision, 29-28, 30-27 & 27-30. JUNIOR GIRLS - JUNIOR MIDDLEWEIGHT / 79 lbs. - 84 lbs. Jana Ganezer (Palm Harbor, Florida, USA, 0-1, 83.6, 4'11", 10, 10-8-07, Gray Hellman, (813) 448-3683) by unanimous decision, 30-27 on all three judges cards. JUNIOR ATOMWEIGHT / 97 lbs. - 102 lbs. **Madison Simeri (Middleburg, Florida, USA, 0-1, 98, 5'1", 14, 9-25-03, Frank Johns, (904) 707-5841) by TKO at the end of round 2. Kristina Teachout defeated Ciarra McDonald (Springfield Gardens, New York, USA, 1-1/1, S: 1, 102, 5'4", 14, 1-8-04, Jamie McDonald, (347) 423-6001) by unanimous decision, 29-27, 30-26 & 29-27. Madison Simeri has been issued a 30 day no competition medical suspension until 9-5-18. JUNIOR WELTERWEIGHT CATCHWEIGHT / 143 lbs. - 150 lbs. Brenna-Leigh Jardine (Campbell River, British Columbia, Canada, 1-1, 144.8, 5'6", 15, 12-27-02, Sandra Bastian, (403) 669-9319) by unanimous decision, 30-27 on all three judges cards. Rayanna Santiago defeated Jolanta Bauer (Collinsville, Illinois, USA, 1-1, 146.2, 5'4", 17, 4-12-01, Tommy Whitaker, (618) 960-3623) by unanimous decision, 29-28, 30-27 & 30-27. **37 OF THE SCHEDULED 40 ADULT WOMEN FIGHTERS CONFIRMED TO COMPETE SHOWED UP TO "WALK THE WALK!" WEIGHTS LISTED ARE WEIGHTS FIGHTER WEIGHED IN AT. ** ) THE FOLLOWING FIGHTER DID NOT MAKE WEIGHT. STRAWWEIGHT: 102 lbs. - 107 lbs. Ramona Telmo (Vacaville, California, USA, 3-5, 105.6, 4'11", 30, 3-19-88, Marlon Telmo, (707) 386-6211) by unanimous decision, 30-27 on all three judges cards. Ramona Telmo defeated Maryanne Encarnacion (Daly City, California, USA, 0-1, 106.6, 5', 32, 12-22-85, Sam Phimsoutham, (415) 218-5633) by unanimous decision, 30-27, 29-28 & 30-27. Hannah Lynn defeated **Karelia Miranda (Miami, Florida, USA, 2-7, 105.8, 4'11", 29, 3-31-89, Felix Leon, (305) 562-9389) by TKO at the end of round 1. Karelia Miranda has been issued a 30 day no competition medical suspension until 9-4-18. ATOMWEIGHT: 108.1 lbs. - 112 lbs. Brandy Gonzalez (Houston, Texas, USA, 2-2, 110, 5'2", 29, 6-16-88, Cyrus Washington, (346) 701-8763) by unanimous decision, 29-28 on all three judges cards. Emma Lopez defeated **Sarah Stallings (Bradenton, Florida, USA, 0-1, 110, 5'1", 28, 9-1-89, Erik Marshall, (941) 812-2560) by TKO at :54 seconds of round 1. Brandy Gonzalez defeated Kayla Mawad (Casselberry, Florida, USA, 0-2, AMMA: 0-1, 110.8, 5'2", 20, 1-27-98, Snawna Ormsby, (321) 360-9892) by unanimous decision, 29-28, 30-27 & 30-27. Sarah Stallings has been issued a 30 day no competition medical suspension until 9-4-18. FLYWEIGHT: 112.1 lbs. - 117 lbs. Krista Gregorio (Bradenton, Florida, USA, 0-0, 114, 5'2", 20, 12-23-97, Erik Marshall, (941) 812-2560) SHOWED UP. Jessica Rye( Memphis, Tennessee, USA, 0-0, ---, 5'1", 23, 3-29-95, Jonathan Border, (702) 528-0529) NO SHOWED. BANTAMWEIGHT 117.1 lbs. - 122 lbs. Nicole Martinez (Simpsonville, South Carolina, USA, 1-1, 121, 5', 24, 12-2-93, Ray Thompson, (864) 967-3930) SHOWED UP. Vanessa De Belen (Markham, Ontario, Canada, 5-6/1, S: 1, ---, 5'4", 25, 10-24-92, Brian Naidu, (416) 567-0655) NO SHOWED. FEATHERWEIGHT: 122.1 lbs. - 127 lbs. Mary Bates (Largo, Florida, USA, 3-1, 126.4, 5'6", 40, 12-19-77, David Bybee, (727) 547-2662) by unanimous decision, 30-27 on all three judges cards. Meg Ryan (Memphis, Tennessee, USA, 1-1, 125.6, 5'4", 27, 12-21-90, Omari Boyd, (615) 579-2550) by unanimous decision, 30-27 on all three judges cards. Mariah Kill defeated **Adrianne Torres (Snellvile, Georgia, USA, 0-1, 124.4, 5'2", 33, 3-8-85, Amir Dadovir, (404) 200-4557) by corner stoppage, TKO - after the end of round 1. Meg Ryan defeated Christie Montes (Miami, Florida, USA, 0-2, 123.8, 5'4", 35, 1-7-83, Manny Ramirez, (786) 303-7403) by unanimous decision, 29-28 on all three judges cards. Adrianne Torres has been issued a 30 day no competition medical suspension until 9-4-18. SUPER LIGHTWEIGHT: 132.1 lbs. - 137 lbs. Alexandra Lopez (Miami, Florida, USA, 1-1, 135.8, 5'5", 19, 3-30-99, Manny Ramirez, (786) 303-7403) by unanimous decision, 30-27 on all three judges cards. Alexandra Lopez defeated Alexandra Fleet (Tallahassee, Florida, USA, 0-1, 137, 5'6", 28, 12-9-89, Sky Rudloe, (850) 727-8421) by TKO at :58 seconds of round 1. Greta Marrs defeated Summer Trent (Sarasota, Florida, USA, 0-1, 136.4, 5'10", 22, 8-21-95, Erik Marshall, (941) 812-2560) by split decision, 29-28, 29-28 & 28-29. Alexandra Fleet has been issued a 30 day no competition medical suspension until 9-4-18. BANTAMWEIGHT: 117.1 lbs. - 122 lbs. Kelley Jersild (Atlanta, Georgia, USA, 1-1, 121.4, 5'3", 29, 5-17-89, Devorius Tubbs, (404) 503-8487) by unanimous decision, 29-28 on all three judges cards. Kelley Jersild defeated Desiree Stam (Norcross, Georgia, USA, 0-1, 120, 5'3", 33, 10-18-84, Amir Dadovic, (470) 545-4732) by split decision, 29-28, 29-28 & 27-30. Kaitlynn Jorgensen (Campbell River, British Columbia, Canada, 2-6/1, 126.6, 5'5", 24, 3-18-94 Sandra Bastian, (403) 669-9319) by unanimous decision, 30-27, 30-27 & 29-28. Kaitlynn Jorgensen defeated Alexsys Miranda (Boynton Beach, Florida, USA, 1-1, 125.4, 5'5", 19, 9-13-98, Jason Somchay, (561) 351-4784) by unanimous decision, 29-28, 29-28 & 30-27. Ashley Thiner defeated Sarah Humphries (Atlanta, Georgia, USA, 0-1, 124.8, 5'7", 28, 10-12-89, Troy Lyons-Lee, (404) 263-3432) by unanimous decision, 29-28, 30-27 & 30-27. Alexsys Miranda defeated Anna Zurek (St Augustine, Florida, USA, 0-2, 124.2, 5'5", 30, 3-12-88, Michael Plott, (904) 599-9988) by unanimous decision, 30-27 on all 3 judges cards. Ashley Thiner defeated **Alexa Wiechert (Evans, Georgia, USA, 2-2/1, 125.2, 5'5", 19, 12-14-98, Jason Faglier, (706) 830-7741) by TKO at 1:46 of round 1. Alexa Wiechert has been issued a 30 day no competition medical suspension until 9-4-18. LIGHT WELTERWEIGHT: 137.1 lbs. - 142 lbs. **Lisa Dodrill (Cocoa, Florida, USA, 0-1, 140, 5'6", 40, 8-22-77 Wade Rome, (321) 220-9429) by TKO at 1:02 of round 1. Amanda Gallo defeated Marlene Noel (Campbell River, British Columbia, Canada, 0-2, 137.2, 5'8", 39, 10-21-78, Sandra Bastian, (403) 669-9319) by unanimous decision, 30-26, 30-26 & 30-27. Lisa Dodrill has been issued a 30 day no competition medical suspension until 9-4-18. WELTERWEIGHT 142 lbs. - 147 lbs. **Aizhan Amirova (Houston, Texas, USA, 0-1, 143.8, 5'6", 25, 10-29-92, Tony Concepcion, (832) 907-0421) by TKO at :55 seconds of round 2. Aizhan Amirova has been issued a 30 day no competition medical suspension until 9-4-18. Magdalena Rubin (Grayson, Georgia, USA, 0-1, ---, 5'5", 33, 5-27-84, Amir Dadovic, (470) 545-4732) NO SHOWED! SUPER WELTERWEIGHT 147.1 lbs - 153 lbs. **Elise Ratcliff (Houston, Texas, USA, 0-1, S: 3, 153, 4'9", 32, 3-7-85, Cyrus Washington, (346) 701-8763) by TKO at :27 seconds of round 3. Elise Ratcliff has been issued a 30 day no competition medical suspension until 9-4-18. Ashley Keith (Bowmanville, Ontario, Canada, 4-3/1, 150.8, 5'9", 29, 2-24-89, Darian Carrington, (905) 706-5494) by split decision, 30-27, 29-28 & 28-29. 45 OF THE SCHEDULED **50 JUNIOR BOY FIGHTERS CONFIRMED TO COMPETE SHOWED UP TO "WALK THE WALK!" WEIGHTS LISTED ARE ACTUAL WEIGHT FIGHTER WEIGHED IN AT. JUNIOR BOYS - WELTERWEIGHT / 142 lbs. - 147 lbs. Malachi Cash (Simpsonville, South Carolina, USA, 7-6/4, 142.1, 5'9", 17, 8-8-2000, Ray Thompson, (864) 967-3930) by unanimous decision, 29-28, 29-28 & 30-27. Malachi Cash defeated Joseph Meloi III (Sunrise, Florida, USA, 8-5, 145.4, 5'9", 16, 5-9-02, Roger Krahl, (954) 742-5753) by unanimous decision, 29-28, 29-28 & 29-28. JUNIOR BOYS - WELTERWEIGHT / 142.1 lbs. - 147 lbs. **Derek Marcial / Derek Allen Marcial Rodriguez (Camuy, Puerto Rico, 0-1, 143.2, 5'7", 16, 10-3-01, Andres Muniz Vega, (321) 444-7755) by TKO at :47 seconds of round 3. Nathan Murray defeated Garet Clements (Brighton, Tennessee, USA, 0-1, 142, 6'1", 17, 2-28-01, Omari Boyd, (615) 579-2550) by unanimous decision, 30-25 on all three judges cards. Derek Marcial has been issued a 30 day no competition medical suspension until 9-5-18. JUNIOR BOYS - JUNIOR BANTAMWEIGHT: 60.1 lbs. - 65 lbs. After three rounds the judges had it a draw: 28-28 on all three judges cards. Round 4, All three judges scored it for Quinn Acebedo. JUNIOR BOYS - JUNIOR LIGHT HEAVYWEIGHT: 85 lbs. - 90 lbs. Nathan Palzer (Lebanon, Oregon, USA, 0-1, ABX: 0-1, 87.4, 4'4", 8, 4-12-10, Gregg Palzer, (541) 223-2090) by split decision, 29-28, 30-27 and 28-29. **Nicholas Thomson (Brampton, Ontario, Canada, 2-2-1, 90, 4'10", 11, 11-7-06, Billy Strumenik, (647) 999-0022) by TKO at 1:05 of round 1. Nicholas Thomson defeated Vitaly Pyagay (Brooklyn, New York, USA, 0-1, 88.8, 4'7", 11, 3-6-07, Akmal Zakirov, (718) 810-6555) by unanimous decision, 29-28, 29-28 & 30-27. Logan Huyette defeated **Jayden Jarrett (West Palm Beach, Florida, USA, 0-1, 87, 4'11", 10, 8-27-07, Asa Tenpow, (561) 880-5277) by KO at :46 seconds of round 1. Jayden Jarrett has been issued a 120 day no competition medical suspension until 12-3-18. Nicholas Thomson has been issued a 30 day no competition medical suspension until 9-5-18. JUNIOR BOYS - JUNIOR HEAVYWEIGHT: 95 lbs. - 100 lbs. Tate Martin (Robertsville, Missouri, USA, 1-1, 96.4, 4'10", 11, 12-4-06, Benny Voyles, (636) 271-7006) by unanimous decision, 30-27 on all three judges cards. Dylan Stout defeated Anthony Lopez (Berwyn, Illinois, USA, 0-2, 95.2, 5'2", 12, 6-23-05, Bob Schirmer, (773) 698-0748) by split decision, 30-27, 29-28 & 28-29. Tate Martin defeated Richard Kanazawa (Ellaville, Georgia, USA, 0-3, 98.8, 5', 12, 1-25-06, Ken Hudson, (229-924-3827) by split decision, 30-27, 30-27 & 27-30. JUNIOR BOYS - JUNIOR SUPER STRAWWEIGHT: 98 lbs. - 103 lbs. **Eli Smith (Oak Park, Michigan, USA, 13-2/4, 99.4, 5', 13, 8-7-04, Travis Smith, (248) 632-4051) by TKO at 1:08 of round 2. Eli Smith has been issued a 30 day no competition medical suspension until 9-5-18. JUNIOR BOYS - JUNIOR FLYWEIGHT CATCHWEIGHT: 110 lbs. - 115 lbs. **Landon Campbell (Liberty, Kentucky, USA, 4-2/1, S: 1, 114.6, 4'10", 11, 6-15-07, Rodney Finn, (859) 516-8910) by TKO at 1:09 of round 3. Landon Campbell has been issued a 30 day no competition medical suspension until 9-5-18. JUNIOR BOYS - JUNIOR FLYWEIGHT CATCHWEIGHT: 118 lbs. - 123 lbs. Cody Hilderbrand (Simpsonville, South Carolina, USA, 1-1, 121.4, 5'3", 16, 2-22-02, Ray Thompson, (864) 505-4237) by unanimous decision 30-27 on all three judges cards. Jonathan Lopez defeated Jazeel Lopez (Austell, Georgia, USA, 0-1, 120.6, 5'5", 17, 12-21-00, Larry Greene, (910) 471-1979) by unanimous decision 30-27, 30-26 & 30-26. JUNIOR BOYS - JUNIOR SUPER FEATHERWEIGHT CATCHWEIGHT: 128 lbs. - 133 lbs. Jamari McNichol (Landerhill, Florida, USA, 15-9, 130.2, 5'9", 17, 9-18-00, Roger Krahl, (954) 742-5753.) by unanimous decision 30-27, 29-28 & 29-28. JUNIOR BOYS - LIGHT MIDDLEWEIGHT: 153.1 lbs. - 159 lbs. Nima Changizi (Lawrenceville, Georgia, USA, 0-1, 159, 5'10", 16, 1-25-02, Amir Dadovic, (404) 200-4557) by split decision 29-28, 30-27 & 28-29. JUNIOR BOYS - MIDDLEWEIGHT CATCHWEIGHT: 157.1 lbs. - 163 lbs. Arjan Iseni (Staten Island, New York, USA, 13-2/3, AB: 12-4, 160, 6'1", 15, 11-26-02, Akmal Zakirov, (718) 810-6555) by unanimous decision, 30-26, 29-27 & 29-27. Arjan Iseni defeated **James Whitaker (Collinsville, Illinois, USA, 7-3/1, ABX: 7-4/3, 157.2, 5'11", 17, 5-19-01, Tom Whitaker, (618) 344-9675) by TKO at 1:57 of round 2. Peyton Corrigan defeated **Roger Mollett Jr. (Toa Baja, Puerto Rico, 0-1, 154, 5'11", 17, 3-28-01, Juan Delgado, (787) 562-7984) by TKO at :38 seconds of round 3. James Whitaker defeated Zachary Plumadore (Cornwall, Ontario, Canada, 1-2-1, 161, NEED HEIGHT! 17, 12-15-2000, Steve Lcfebure, (613) 930-5489 All Fees Paid On 7-19-18) by split decision, 30-27, 29-28 & 28-29. James Whitaker has been issued a 30 day no competition medical suspension until 9-5-18. Roger Mollett Jr. has been issued a 30 day no competition medical suspension until 9-5-18. JUNIOR BOYS - SUPER FEATHERWEIGHT: 70.1 lbs. - 75 lbs. Colin Walker (Tampa, Florida, USA, 1-2, 70.8, 4'8", 11, 8-24-06, Gary Hellman, (813) 666-4385) by unanimous decision 29-28, 29-28 & 30-27. JUNIOR FLYWEIGHT CATCHWEIGHT: 110 lbs. - 115 lbs. Adel Harara (San Leandro, California, USA, 3-2, S: 5, 111.4, 5'4", 13, 9-28-04, Ivan Ramos, (510) 685-0612) by split decision 29-28, 29-28 & 28-29. JUNIOR BOYS - FEATHERWEIGHT: 122.1 lbs. - 127 lbs. Knowledge Hunt (Atlanta, Georgia, USA, 0-1, 125.6, 5'9", 16, 12-15-01, Devorius Tubbs, (404) 503-8487) by unanimous decision 30-27, 30-27 & 29-28. Travis LaPrairie defeated **Richard Rivera (San Sabastian, Puerto Rico, 0-1, 127, 5'5", 16, 12-21-01, Andres Muniz Vega, (321) 444-7755) by TKO - Could not answer the bell after round 1. Knowledge Hunt defeated Dennis Rahmanovic (Lawrenceville, Georgia, USA, 0-1, 125.6, 5'6", 16, 9-11-01, Amir Dadovic, (404) 200-4557 ) by unanimous decision, 30-27, 30-27 & 29-28. Richard Rivera has been issued a 30 day no competition medical suspension until 9-5-18. JUNIOR BOYS - SUPER LIGHTWEIGHT: 132.1 lbs. - 137 lbs. Adam Hines (Campe Verde, Arizona, USA, 12-14, 137, 5'10", 15, 1-23-03, Richard Williams, (928) 300-0281) by unanimous decision 30-27, 30-26 & 29-27. Adam Hines defeated **Natanel Rosen (Boca Raton, Florida, USA, 1-1, 136.2, 5'10", 15, 10-18-02, Doug Tate, (561) 926-1846) by TKO at 1:28 of round 2. Ray Allen defeated Jibril Omer (Castro Valley, California, USA, 0-1, S: 5, 134.8, 5'6", 16, 5-3-02, Ivan Ramos, (510) 685-0612) by unanimous decision, 29-28 on all three judges cards. Natanel Rosen defeated Chase Shumate (Stuart, Florida, USA, 0-1, 133.4, 5'9", 17, 2-3-01, Skyler Gunnoe, (772) 486-7736) by unanimous decision, 30-26 on all three judges cards. Natanel Rosen has been issued a 30 day no competition medical suspension until 9-5-18. 147 OF THE SCHEDULED 163 ADULT MEN FIGHTERS CONFIRMED TO COMPETE SHOWED UP TO "WALK THE WALK!" (** ) THE FOLLOWING 6 FIGHTER'S DID NOT COMPETE DUE TO NOT MAKING WEIGHT. OPPONENTS BOTH DROPPED OUT AND HE NEVER REPLIED TO SUGGESTIONS OF A NEW BRACKET TO MOVE TO. SUPER LIGHTWEIGHT / 132.1 lbs. - 137 lbs. Elijah Hatcher (Jacksonville, Florida, USA, 1-3, 132.1, 5'8", 18, 6-16-2000, James Smiley, (904) 600-7909) by unanimous decision, 30-26 on all 3 judges score cards. Sardar Abidov defeated Pat Dolan (Baltimore, Maryland, USA, 1-4/1, ABX: 1-1, 132.4, 5'7", 25, 3-16-93, Vince Mosca, (410) 952-1641) by unanimous decision, 30-27, 30-27 & 29-28. Elijah Hatcher defeated Julio Osorio (Ellivay, Georgia, USA, 1-1/1, 133.8, 5'1", 26, 1-28-92, Ben Kiker, (706) 273-4916) by unanimous decision, 30-27, 29-28 & 29-28. SUPER WELTERWEIGHT / 147.1 lbs - 153 lbs. Jordan Navarro (Orange Park, Florida, USA, 10-4/1, ABX: 14-6, 153, 6', 24, 9-6-93 Frank Johns, (904) 707-5841) by unanimous decision, 29-28, 29-28 & 30-27. HEAVYWEIGHT / 200 lbs. - 220 lbs. **Luis Vargas (Hatillo, Puerto Rico, 0-1, 205.2, 6'2", 37, 1-7-81, Andres Muniz Vega, (321) 444-7755) by TKO at 1:46 of round 3. Mostafa Sabeti defeated Benjamin Reece (Ellijay, Georgia, USA, 6-4-1/1, 219.4, 6'2", 28, 2-2-88, Ben Kiker, (706) 455-5568) by split decision, 29-26, 29-26 & 28-27. Luis Vargas has been issued a 30 day no competition medical suspension until 9-5-18. ADULT MENS - FEATHERWEIGHT: 122.1 lbs. - 127 lbs. Rodger Ibanez (Napa, California, USA, 1-1, 126.4, 5'6", 19, 4-12-99 Aldo Hernandez, (707) 363-2171) by unanimous decision, 30-27 on all three judges cards. Rodger Ibanez defeated Jeffrey Boyd (Cleburne, Texas, USA, 1-1, 126.4, 5'8", 18, 6-8-00, Jeffrey Wyatt, (817) 487-1763) by unanimous decision, 30-26, 30-26 & 29-27. Adam Austin defeated Rishabh Bardia (San Francisco, California, USA, 0-1, 123.4, 5'10", 27, 2-19-91, Apurv Jain, (773) 428-2846) by unanimous decision, 30-27 on all three judges cards. Jeffrey Boyd defeated Dominic Blanco (Tampa, Florida, USA, 0-1, 124.6, 5'6", 17, 5-10-01, Gary Hellman, (813) 616-8509) by unanimous decision, 29-27 on all three judges cards. ADULT MENS - SUPER LIGHTWEIGHT: 132.1 lbs. - 137 lbs. Tommy Bamberger (Rockledge, Florida, USA, 5-8/3, 136.2, 6', 22, 6-26-95 David Diquollo, (321) 368-9307) by medical forfeit - Bamberger was cut in his previous bout that required stitches. Tommy Bamberger defeated Enoc Aguado (Miami, Florida, USA, 5-5, 136, 5'7", 22, 3-10-96, Guzman Erramuspe, (786) 357-5723) by split decision, 30-27, 29-28 & 29-28. Kevin Escobar defeated Blain Wood (Apopka, Florida, USA, 4-2, S: 1, ABX: 5-3, 137, 5'10", 5-13-93, Angel Ortiz, (321) 439-3240) by split decision, 30-27, 29-28 & 28-29. Romeo Chacon (Miami, Florida, USA, 0-1, 136.2, 5'9", 19, 7-1-99, Manny Ramirez, (786) 303-7403) by unanimous decision, 28-27, 29-26 & 28-27. Arjuna Lyons (Indian Harbour Beach, Florida, USA, 0-0, 5'7", 20, 11-12-97, David Diquollo, (321) 368-9307) NO SHOWED! ADULT MENS - WELTERWEIGHT: 142.1 lbs. - 147 lbs. Preston Farrell (Ajax, Ontario, Canada, 8-6/1, 145.6, 5'8", 26, 2-14-92, Saji Bold, (416) 505-5400) by unanimous decision, 30-27 on all three judges cards. Buford Williams Jr. defeated Mark Cabrera (San Marcos, Texas, USA, 0-1, AMMA: 0-1, 143.4, 6', 27, 11-15-90, Eddie Diaz, (512) 535-8649) by unanimous decision, 30-27 on all three judges cards. Preston Farrell defeated Sebastian Rivera (Milton, Florida, USA, 6-9/2, 144.6, 5'9", 27, 7-22-90) by unanimous decision, 30-27, 30-27 & 29-28. Avity Karera (Kampala, Central, Uganda 8-4-4, 5'9", 29, 11-19-89 Tamale Swalih, 75.5533.792) NO SHOWED! Michael Ullman (Palm Beach Gardens, Florida, USA, 1-2, 145.4, 5'9", 29, 8-29-88 Asa Tenpow, (561) 880-5277,) by unanimous decision, 29-28, 29-28 & 30-27. After the scheduled first 3 rounds, the judges scorecards were: 28-28 Even, 29-27 Bardsley & 30-26 Zelner. On the 4th overtine round, all 3 judges scored it unanimously for Zelner. Michael Ullman defeated Anthony Eleftheratos (Fort Myers, Florida, USA, 0-1, 144.6, 5'9", 33, 11-2-84, Josh Frye, (239) 405-7410) by unanimous decision, 30-27 on all three judges cards. 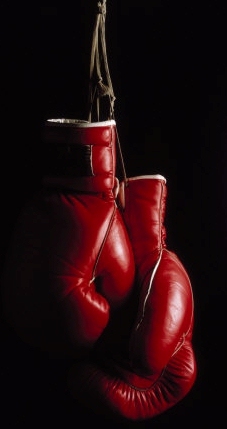 ADULT MENS - LIGHT MIDDLEWEIGHT: 155 lbs. - 162 lbs. Anthony Lopez (Marietta, Georgia, USA, 3-1/1, 159, 6', 23, 8-1-95, Larry Greene, (910) 471-1979) by split decision, 29-28 Brancaccio, 29-28 Brancaccio and 29-28 Lopez. Johnmichael Brancaccio defeated Matteo Tullio (Okeechobee, Florida, USA, 2-0/1, 158.6, 6'1", 31, 5-6-87, Coleman Ray, (863) 467-1806) by unanimous decision,. 29-28, 29-28 & 30-27. ADULT MENS - LIGHT MIDDLEWEIGHT: 152.1 lbs. - 159 lbs. Cory Roach (Boca Raton, Florida, USA, 1-0, 158.2, 6'1", 31, 8-15-86 Brooks Buerk, (561) 860-4955) (*) by walkover when his opponent, Cory Roach got ill after his first bout. Cory Roach defeated **Hwan-Gyu Choi (Melbourne, Florida, USA, 0-1, 154.8, 6', 25, 4-1-93 David Diquollo, (321) 368-9307) by TKO at the end of round 1. Hwan-Gyu Choi has been issued a 30 day no competition medical suspension until 9-5-18. Joshua Marer Claimed on his registration form to be 0-0 in ALL FULL CONTACT Fight Sports. However, during his background - experience check the IKF found that he actually has NINE Amateur MMA Fights. he claimed to be fighting in the OPEN division at the 2018 IKF World Classic, but agreed to fight in the NOVICE Division before IKF was able to find his 9 Amateur MMA Bouts. Yet IKF could find no proof of ANY of Joshua Marer's claimed Muay Thai or Kickboxing bouts. ADULT MENS - LIGHT HEAVYWEIGHT CATCHWEIGHT: 172 lbs. - 178 lbs. **Darryl Glover (Philadelphia, Pennsylvania, USA, 1-1, 176.8, 32, 3-12-86, Danny Morales, (203) 246-2846) by KO at :54 seconds of round 2. Darryl Glover defeated Tyrone Chatman (Lawrenceville, Georgia, USA, 1-1, 173.4, 6', 3-2-85 Amir Dadovic, (404) 200-4557) by unanimous decision, 30-27 on all three judges cards. Ivan Trevino defeated Marcos Nora (Forest Park, Georgia, USA, 0-1, 177.8, 6'2", 39, 3-14-79, Larry Greene, (910) 471-1979) by unanimous decision, 30-27 on all three judges cards. Darryl Glover has been issued a 120 day no competition medical suspension until 12-3-18. Michael Ruiz Portalatin (Arecibo, Puerto Rico 1-0, 175, 5'11", 19, 2-20-94 Carmelo Rivera, (787) 501-9251) NO SHOWED! Kasra Balouch Gha Raei (Antioch, Tennessee, USA, 0-0, 175, 5'10", 21, 6-4-96, Kevin Walker, (615) 975-7854) NO SHOWED! ADULT MENS - LIGHT HEAVYWEIGHT: 175.1 lbs. - 182 lbs. After the scheduled first 3 rounds, the judges scorecards were all 28-28 Even. On the 4th overtine round, all 3 judges scored it unanimously for Benjamin Paquay. Benjamin Paquay defeated Austin Larriba (Southgate, Michigan, USA, 2-1/1, 180.4, 6'2", 26, 10-2-91 Landon Simmons, (313) 581-8999) by split decision, 29-28, 30-27 & 28-29. Norberto Seguinot (San Sabastian, Puerto Rico, 0-0, 5'10", 37, 3-24-81, Andres Muniz Vega, (321) 444-7755) NO SHOWED! Christopher Harris (Cave Hill, St. Michael, Barbados, 1-2/1, ABX: 1-1/1, 5'11", 27, 5-30-91, Ian Hinds, (246) 288-9292) NO SHOWED! ADULT MENS - CRUISERWEIGHT: 186.1 lbs. - 198 lbs. Joel Jalomo (San Marcos, Texas, USA, 2-1, 194.6, 6'3", 23, 11-17-94, Eddie Diaz, (512) 392-4763) by split decision, 30-27, 29-28 & 27-30. Joel Jalomo defeated **Ty O Wright (Southgate, Michigan, USA, 2-2/1, 196.8, 6'2", 26, 10-2-91, Landon Simmons, (313) 581-8999) by TKO at 1:29 of round 2. Brandon Carter defeated David Iuliano (Miami, Florida, USA, 0-1, 198, 5'7", 30, 12-12-87, Jacob Poss, (301) 717-2343) by unanimous decision, 30-26 on all three judges cards. Joel Jalomo defeated Dustin Romiah Bryson (Atlanta, Georgia, USA, 0-1, 197, 5'9", 34, 2-5-84, Devorius Tubbs, (404) 565-1972 ) by unanimous decision, 29-28, 29-28 & 30-27. David Iuliano defeated **Jimmy Manfredy (Lakeland, Florida, USA, 3-4, 193.2, 6', 38, 11-16-79, Mary Manfredy, (863) 585-5544) by TKO at :30 seconds of round 1. Ty O Wright has been issued a 30 day no competition medical suspension until 9-5-18. Jimmy Manfredy has been issued a 30 day no competition medical suspension until 9-5-18. ADULT MENS - HEAVYWEIGHT: 200 lbs. - 220 lbs. Alexis Terrosa (Boynton Beach, Florida, USA, 1-1, 215.4, 6'4", 34, 8-10-83 Brooks Buerk, (561) 860-4555) by unanimous decision, 29-28 on all three judges cards. Alexis Terrosa defeated **Chadwick Pyle (Gainsville, Florida, USA, 0-1, 216.8, 6'5", 20, 3-6-98, Kenneth Juan, (352) 284-6563) by TKO at 1:31 of round 1. Chevon Donaldson defeated Phi Hua (Houston, Texas, USA, 0-1, S: 1, 217.8, 6'2", 24, 8-27-93, Cyrus Washington, (346) 701-8763) by unanimous decision, 30-27, 30-27 & 29-28. Chadwick Pyle has been issued a 30 day no competition medical suspension until 9-5-18. Dustin Bush (St. Marys, Georgia, USA, 4-1, S: 1, ABX: 1-0, 249.6, 6'2", 32, 3-12-87, George Bush, (614) 557-6713) by split decision, 30-27, 29-28 & 28-29. Christopher Goulet defeated **Travis Schmalz (Saskatoon, Saskatchewan, Canada, 1-3/1, 258, 5'9", 34, 4-27-83, Kris Kembel, (306) 260-5711) by forfeit when Schmalz became sick. Dustin Bush defeated **Jose Sotomayor (Quebradillas, Puerto Rico, 0-1, 230.8, 5'10", 20, 10-24-97, Andres Muniz Vega, (321) 444-7755) by TKO at :55 seconds of round 1. Christopher Goulet defeated Marcus Leach (Stuckbridge, Georgia, USA, 2-1, AMMA: 2-3, 259, 6', 33, 7-27-84, Brett Walters, (843) 568-1014) by split decision, 30-27, 30-27 & 29-28. Dustin Bush defeated **Che Johnson (Marietta, Georgia, USA, 3-2, 228, 5'8", 30, 1-13-88, Larry Greene, (910) 471-1979) by KO at :22 seconds of round 1. Travis Schmalz has been issued a 30 day no competition medical suspension until 9-5-18. Jose Sotomayor has been issued a 30 day no competition medical suspension until 9-5-18. Che Johnson has been issued a 60 day no competition medical suspension until 10-5-18. ADULT MENS - FEATHERWEIGHT CATCHWEIGHT: 119 lbs. - 124 lbs. Kamron Murray (Houston, Texas, USA, 2-3/1, 123, 5'10", 17, 5-12-2000, Isael Zuniga, (713) 504-2251) by unanimous decision, 30-27, 30-27 & 29-28. Christian Torres defeated Arthur Almeida (Miami, Florida, USA, 2-4, 121.2, 6', 21, 3-10-97, Jake Poss, (786) 592-1006) by unanimous decision, 30-27 on all three judges cards. Kamron Murray defeated **Emeterio Albarez (Memphis, Tennessee, USA, 0-1, 119.4, 5'6", 31, 3-3-87, Eric Ingram, (901) 831-2565) by TKO at :25 seconds of round 1. Emeterio Albarez has been issued a 30 day no competition medical suspension until 9-5-18. Jamarcus Jhuan Hall (Preston, Georgia, USA, 3-5, 134.8, 5'8", 21, 1-10-97, Ken Hudson, (229-924-3827) by unanimous decision, 30-27 on all three judges cards. Jamarcus Jhuan Hall defeated **Isaac Jenkins (Pensacola, Florida, USA, 1-1, 136.6, 5'7", 18, 10-25-99, Dahlen Wilson, (419) 450-8680) by TKO at 1:33 of round 1. Anthony To defeated Miguel Tantiado (San Francisco, California, USA, 1-2, 136.2, 5'9", 19, 11-9-98, Sam Phimsoutham, (415) 218-5633) by unanimous decision, 30-27 on all three judges cards. Jamarcus Jhuan Hall defeated Max Stein (San Francisco, California, USA, 0-1, 136.8, 5'9", 25, 9-1-92, Sam Phimsoutham, (415) 218-5633) by split decision, 29-28, 29-28 & 28-29. Miguel Tantiado defeated Joseph Tran (Collierville, Tennessee, USA, 0-2, AMMA: 3-1, 135.8, 5'6", 27, 8-27-90, Eric Ingram, (901) 831-2565) by unanimous decision, 30-26, 30-26 & 30-27. Anthony To defeated **Eli Bonner (Pensacola, Florida, USA, 0-1, 135, 5'10", 20, 6-1-98, Brandon Bolton, (850) 495-2632) by KO at :27 seconds of round 1. Eli Bonner has been issued a 120 day no competition medical suspension until 12-3-18. Isaac Jenkins has been issued a 30 day no competition medical suspension until 9-5-18. Timothy Kang (Alexandria, Virginia, USA, 4-1, 5'7", 135.8, 27, 6-17-91, Vince Mosca, (410) 952-1641) by unanimous decision, 30-27, 29-28 & 29-28. Nicholas Stutely defeated Brendan Galy (Conway, Arkansas, USA, 0-1, 136.2, 5'3", 23, 5-8-94, Jonny Wester, (501) 205-0188) by unanimous decision, 30-27, 30-27 & 29-28. Timothy Kang defeated Darion Homayoon (Reno, Nevada, USA, 0-1, 135.2, 5'7", 16, 10-28-01, Jeremiah Bush, (775) 815-6396) by unanimous decision, 29-28 on all three judges cards. Nicholas Stutely defeated Jesse Gauthier (Gatineau, Quebec, Canada, 0-2, 134.4, 5'10", 22, 1-11-96, Marek Wolosewicz, (673) 400-2465) by unanimous decision, 30-27, 30-27 & 29-28. Timothy Kang defeated Daniel Sang (Miami, Florida, USA, 0-1, ABK: 0-1, AMMA: 0-1, 132.6, 5'10", 27, 10-11-90, David Gomez, (305) 992-1566) by unanimous decision, 29-28 on all three judges cards. ADULT MENS - LIGHT WELTERWEIGHT: 137.1 lbs. - 142 lbs. Maurice Pompey (Pickering, Ontario, Canada, 17-2-1/2, S: 2, 140.4, 6'2", 26, 2-7-92, Saji Bolo, (416) 505-5400) by split decision, 30-27, 30-27 & 27-30. Maurice Pompey defeated Brian Delapena (Pacifica, California, USA, 5-2/0, 141.6, 5'7", 6-21-85, Sam Phimsoutham, (415) 218-5633) by split decision, 29-28, 30-27 & 28-29. Luis Deluqui defeated Michael-Dangelo Williams (Bolingbrook, Illinois, USA, 10-7-1/3, AMMA: 8-5, 140.4, 6'2", 22, 7-22-95, Bob Schirmer, (773) 698-0748) by unanimous decision, 30-27 on all three judges cards. Maurice Pompey defeated **Dallas Gibson (Ellivay, Georgia, USA, 2-1, 140.4, 5'6", 24, 5-3-14, Ben Kiker, (706) 273-4916) by TKO at end of round 1. Dallas Gibson has been issued a 30 day no competition medical suspension until 9-4-18. 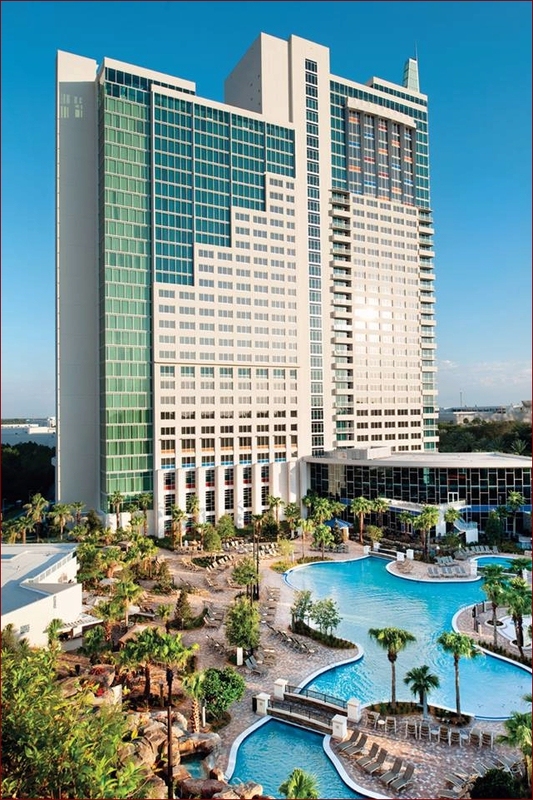 Ardeshir Shafie (Winter Springs,Florida, USA, 3-0/2, ---, 5'10", 20, 6-15-97, Rob Mosier, (407) 509-3362) NO SHOWED! T.J. Wardell (Miami, Florida, USA, 4-7, ---, 5'8", 23, 5-9-95, No Trainer Listed) NO SHOWED! D'Arte Boyd (Fairfield, California, USA, 1-1, AB: 0-1, S: 10, ---, 5'6", 34, 2-13-84, Aldo Hernandez, (707) 363-2171) NO SHOWED! Andrew Rivera (Fresno, California, USA, 18-16/2, 146.4, 5'9", 30, 7-4-88, Malaipet, (559) 224-4998) by split decision, 29-28, 29-28 & 27-30. Ethan Geffen defeated Leigh Mueller (Victoria, British Columbia, Canada, 17-8-2/3, 146.4, 5'8", 11-2-81, Self, (250) 590-3553) by unanimous decision, 30-27 on all three judges cards. Andrew Rivera defeated **Guerby Noel (Miami, Florida, USA, 6-5, 146.2, 5'8", 29, 10-26-88, Manny Ramirez, (786) 303-7403) by KO at :24 seconds of round 1. Ethan Geffen defeated Brandon Waters (Tampa, Florida, USA, 18-5/4, 146.8, 5'9", 28, 9-25-89, David Dato, (813) 545-8212) by split decision, 29-28, 29-28 & 28-29. Andrew Rivera defeated Aaron Heard (Sharpsburg, Georgia, USA, 2-3, AMMA: 4-2, 147, 5'10", 22, 8-22-95, Devorious Tubbs, (404) 503-8487) by unanimous decision, 30-27 on all three judges cards. Guerby Noel defeated **Christian Barrientos (Miami, Florida, USA, 0-2, ABX: 1-0, 146, 5'7", 21, 6-17-97, Jacob Poss, (301) 717-2343) by TKO at end of round 1. Guerby Noel has been issued a 120 day no competition medical suspension until 12-3-18. Christian Barrientos has been issued a 30 day no competition medical suspension until 9-4-18. **Rudy Rosado (Atlanta, Georgia, USA, 1-1, AMMA: 0-1, 144.4, 5'7", 31, 3-10-87, Devorius Tubbs, (404) 565-1972) by TKO at 1:50 of round 1. Rudy Rosado defeated Jordan LaFavor (Jensen Beach, Florida, USA, 0-2, AMMA: 0-1, 144.4, 5'8", 34, 9-2-83, Skylar Gunnoe, (772) 486-7735) by split decision, 29-28, 29-28 & 28-29. Daniel Spain defeated **Zeen Rungsawang (Columbus, Georgia, USA, 0-1, 142, 5'6", 18, 10-15-99, Mr. Cha, (754) 422-1457.) by KO at 1:59 of round 2. Zeen Rungsawang has been issued a 120 day no competition medical suspension until 12-3-18. Rudy Rosado has been issued a 30 day no competition medical suspension until 9-4-18. ADULT MENS - SUPER WELTERWEIGHT: 147.1 lbs - 153 lbs. Zack Desa (Pekering, Ontario, Canada, 10-8, 153, 5'9", 26, 1-21-92, Sasi Rolo, (905) 492-7477) by split decision, 30-27, 30-27 & 28-29. Zack Desa defeated Joaquin Pena (San Juan, Puerto Rico, 0-1, 150.4, 5'8", 24, ?-2-93, Juan Delgado, (787) 562-7984) by unanimous decision, 30-27, 29-28 & 29-28. John Gray defeated Robbinson Galvez (Calistoga, California, USA, 4-2, MMA: 0-1, S: 4, 153, 5'8", 3-12-96, Ben Brown, (707) 292-2541) by unanimous decision, 29-28, 30-27 & 30-27. Zack Desa defeated A'keem Bashir (Atlanta, Georgia, USA, 2-2, AMMA: 5-2, 152.6, 5'9", 30, 2-28-88, Devorius Tubbs, (404) 503-8487) by split decision, 29-28, 29-28 & 28-29. Robbinson Galvez defeated **Kendall Parker (Folkstar, Georgia, USA, 2-1, ABX: 1-0, 150, 5'10", 24, 9-21-93, George Bush, (614) 557-6713) by TKO at 1:12 of round 3. Kendall Parker has been issued a 30 day no competition medical suspension until 9-4-18. ADULT MENS - LIGHT MIDDLEWEIGHT: 153.1 lbs. - 159 lbs. Rafael Angobaldo (Whitestone, New York, USA, 4-4/1, 158.4, 5'9", 27, 12-2-90, Dave Moy, (917) 558-5879) by unanimous decision, 30-27, 29-28 & 29-28. Rafael Angobaldo defeated Jose Couarrubias (Hialeah, Florida, USA, 10-6/2, 159, 5'10", 34, 6-26-83, Martin Castro, (786) 704-6050) by unanimous decision, 30-27 on all three judges cards. Joseph Long defeated Justin Ayres (Willits, Florida, USA, 1-2, A: 5-2-1, 157.4, 5'10", 27, 8-4-90, Ben Brown, (707) 292-2541) by unanimous decision, 30-27 on all three judges cards. Rafael Angobaldo defeated Bryann Ortiz Lopez (Guaynabo, Puerto Rico, 2-2, ABX: 2-0, 157.6, 5'11", 22, 9-3-95, Juan Delgado, (787) 562-7984) by split decision, 29-28, 29-26 & 28-29. Jose Couarrubias defeated Peter Kohout (Talahassee, Florida, USA, 1-3, ABX: 33-1/13, AMMA: 3-0 157.4, 5'7", 25, 12-11-92, Brandon Ryals, (850) 345-9689) by unanimous decision, 29-28 on all three judges cards. Justin Ayres defeated Alexander Chang (Atlanta, Georgia, USA, 4-5/1, S: 2, 158.4, 5'11", 35, 11-8-82, Justin Burns, (864) 310-0096) by split decision, 30-27, 29-28 & 28-29. 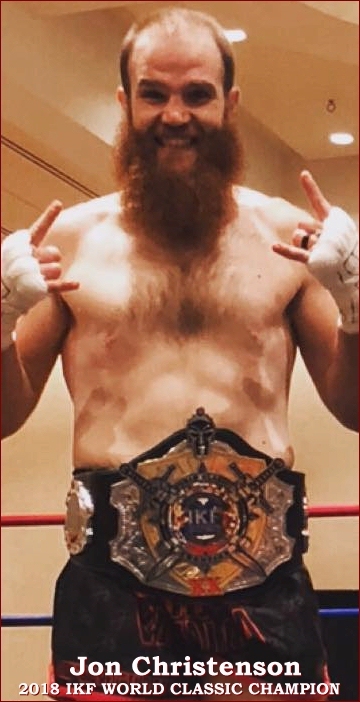 Joseph Long defeated Zachary Rowell (Pensacola, Florida, USA, 0-1, 154.8, 5'7", 23, 7-23-94, Dahlen Wilson, (419) 450-8680) by unanimous decision,. 29-28, 29-28 & 29-27. William Silva (Orlando, Florida, USA, 2-1, 157, 5'11", 18, 11-3-99, Augusto Juarez, (706) 992-7112) by unanimous decision, 29-28 on all three judges cards. Christopher Hines defeated **Otis Paige Jr. (Westland, Michigan, USA, 1-1, 158, 5'9", 33, 2-16-85, Elliott Cooper, (313) 581-8999) by TKO at 1:21 of round 1. William Silva defeated Michael Cefalu (Danielsville, Georgia, USA, 1-0, AMMA: 1-3, 156.2, 5'10", 30, 11-24-87, Justin Burns, (864) 310-0096) by split decision, 29-28, 29-28 & 28-29. Otis Paige Jr. defeated Antonio Allen (Woodstock, Georgia, USA, 0-1, 159, 6'4", 24, 1-2-94, Devorious Tubbs (770) 364-0777) by unanimous decision, 29-28, 29-28 & 30-27. Christopher Hines defeated Brandon Baudin (Jacksonville, Florida, USA, 0-1, 152.1, 5'11", 26, 10-9-91, Brian Tyle, (904) 738-1118) by unanimous decision, 30-26, 30-26 & 29-27. Michael Cefalu defeated Piyaphan Prasitphan (Columbus, Georgia, USA, 0-2, 155.4, 6', 20, 10-8-97, Mr. Cha, (754) 422-1457) by split decision, 29-28, 29-28 & 28-29. William Silva defeated Luc Nguyem (Port Saint Lucie, Florida, USA, 0-1, 157, 5'9", 18, 9-7-99, Skyler Gunnoe, (772) 486-7736) by unanimous decision, 30-27 on all three judges cards. Otis Paige Jr. has been issued a 30 day no competition medical suspension until 9-4-18. ADULT MENS - MIDDLEWEIGHT: 159.1 lbs. - 165 lbs. Bryan Burgos (Bronx, New York, USA, 14-6, 165, 5'10", 28, 4-29-90, Jamie McDonald, (347) 423-6001) by unanimous decision, 29-28 on all three judges cards. Scott MacKenzie defeated **Michael Young (Davie, Florida, USA, 0-1, 165, 5'9", 22, 9-20-95, Jorge Ayala, (954) 306-0900) by TKO at 1:03 of round 1. Bryan Burgos defeated Eric Ingram (Cordova, Tennessee, USA, 7-4/1, AMMA: 8-1, 165, 5'9", 27, 1-15-91, Eric Ingram, (901) 831-2565) by unanimous decision, 29-28, 30-27 & 30-27. Scott MacKenzie defeated **Steve DeVito (South Palm Beach, Florida, USA, 3-1, 165, 6', 28, 2-24-90, Jason Somcnay, (561) 351-4784) by TKO at 1:21 of round 2. Steve DeVito has been issued a 30 day no competition medical suspension until 9-4-18. Michael Young has been issued a 30 day no competition medical suspension until 9-4-18. Jason Stam (Norcross, Georgia, USA, 1-1, 165, 5'8", 30, 11-10-87, Amir Dadovic, (470) 545-4732) by unanimous decision, 30-27 on all three judges cards. Jason Stam defeated Nicholas Ramlal (Dacula, Georgia, USA, 0-1, 160.6, 6', 25, 6-28-93, Amir Dadovir, (470) 545-4732) by unanimous decision, 29-28, 29-28 & 30-27. Keith Rupe defeated Sean Probber (Boca Raton, Florida, USA, 0-1, 161.4, 6'1", 31, 6-1-87, Brooks Buerk, (561) 860-4955) by unanimous decision, 29-28, 30-27 & 30-27. ADULT MENS - SUPER MIDDLEWEIGHT: 168.1 lbs. - 175 lbs. **Johnnithan Freeman (Stone Mountain, Georgia, USA, 8-4, 173.4, 6'1", 23, 4-7-95, Justin Burns (864) 310-0096) by TKO at :35 seconds of round 3. Flavio Brito defeated **Jalien Henry (Detroit, Michigan, USA, 6-1/1, 171.2, 6', 23, 5-2-95, Elliott Cooper, (313) 581-8999) by TKO at :29 seconds of round 3. Johnnithan Freeman defeated Jacob Darr (Baltimore, Maryland, USA, 10-9, ABX: 1-1, 174.6, 6'2", 24, 3-23-94, Vince Mosca, (410) 952-1641) by unanimous decision, 30-27 on all three judges cards. Flavio Brito defeated **Morgan Holling (Campbell River, British Columbia, Canada, 1-4, 173.8, 6', 36, 10-15-81, Sandra Bastian, (403) 669-9319) by TKO at 1:20 of round 3. Jalien Henry defeated Logan Howard (Kernersville, North Carolina, USA, 5-1/1, 174.4, 6', 21, 1-22-96, Chris Clodfelter, (336) 403-4493) by unanimous decision, 29-28, 29-27 & 29-27. Johnnithan Freeman defeated **Ruben Padilla (Glenview, Illinois, USA, 0-1, 174.6, 5'9", 22, 6-19-96, No Trainer Listed) by TKO at :26 seconds of round 2. Jacob Darr defeated Andrew Bean (Orlando, Florida, USA, 3-3/2, 171.8, 6'7", 34, 12-21-83, Michael Lombardo, (407) 405-4094) by unanimous decision, 29-28, 29-28 & 30-27. Morgan Holling has been issued a 30 day no competition medical suspension until 9-4-18. Johnnithan Freeman has been issued a 30 day no competition medical suspension until 9-4-18. Ruben Padilla has been issued a 30 day no competition medical suspension until 9-4-18. Jalien Henry has been issued a 30 day no competition medical suspension until 9-4-18. **Hayden Blank (Pandora, Ohio, USA, 3-1, 177, 6', 17, 9-16-00, Robert Blank, (419) 233-2879) by KO at 1:41 of round 2. Hayden Blank defeated **Jonathan Grant (Houston, Texas, USA, 0-1, S: 1-2, 179, 5'9", 35, 10-26-82, Cyrus Washington, (346) 701-8763) by TKO at 1:32 of round 2. Alexandre Robinson defeated Mansour Ibrahim (Lawrenceville, Georgia, USA, 0-1, 181.2, 6'2", 18, 10-3-99, Amir Dadvic, (404) 200-4557) by split decision, 30-27, 29-28 & 28-29. Hayden Blank defeated Taraja Ramsess (Lithonia, Georgia, USA, 0-2, 177, 6'2", 36, 3-9-82, Justin Burns, (864) 310-0096) by split decision, 29-26, 28-27 and 27-28. Alexandre Robinson defeated Kate'-Verdll Lafayctte (Nashville, Tennessee, USA, 0-1, 176.8, 6'1", 21, 9-1-96, Kevin Walker, (615) 975-7854) by unanimous decision, 29-28, 30-27 & 30-27. Hayden Blank has been issued a 60 day no competition medical suspension until 10-5-18. Jonathan Grant has been issued a 30 day no competition medical suspension until 9-4-18. ADULT MENS - CRUISERWEIGHT 186.1 lbs. - 198 lbs. Shahriar Zolfaghari (Chicago, Illinois, USA, 34-6/11, 198, 6', 26, 1-14-18, Brian Gassaway, (312) 646-0626) by walkover. Zolfaghari pulled out of bout due to injury from previous bout. Jonathan Christenson defeated Neal Hall (Charlette, North Carolina, USA, 1-2, S: 3-0, AMMA: 0-0-1, 193.2, 6', 32, 4-6-86, Seth Curtis,) by unanimous decision, 30-25, 30-26 & 30-26. Shahriar Zolfaghari defeated Joshua Brook (Miami, Florida, USA, 5-9/1, 197.2, 6'1", 34, 12-13-83, Dave Gomez, (305) 992-1566) by unanimous decision, 30-27, 30-27 & 28-29. Jonathan Christenson defeated **Henry Alvarez (Deland, Florida, USA, 1-4/1, ABX: 1-0-1, 198, 6', 33, 5-27-85, Bradly Horner, (321) 848-8001) by TKO at 1:54 of round 3. Shahriar Zolfaghari defeated Kevin Williams (Taylor, Michigan, USA, 0-1, 195, 5'10", 25, 12-28-92, Elliott Cooper, (313) 581-8999) by unanimous decision, 29-28 on all three judges cards. Joshua Brook defeated Nicholas McCarty (Orlando, Florida, USA, 0-1, S: 1-1, 192.4, 5'11", 23, 8-5-94, Todd Broadaway, (407) 455-1208) by split decision, 30-27, 30-27 & 28-29. Henry Alvarez has been issued a 30 day no competition medical suspension until 9-4-18. 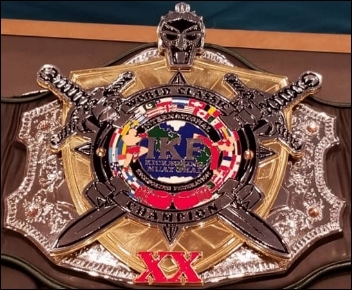 The 2018 IKF PKB Point Muay Thai / Kickboxing Tournament at the World Classic was one of the best tournament we have ever had at the IKF World Classic! 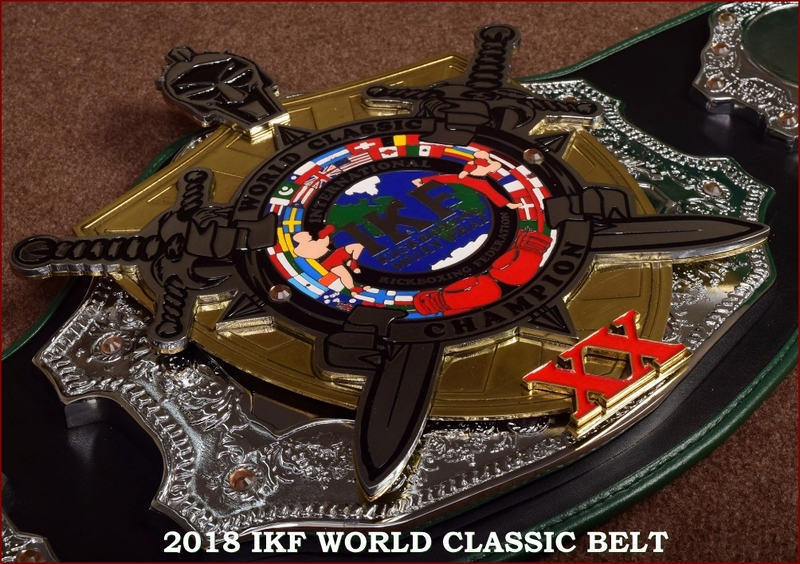 Special this year because it was the first year we presented our Signature IKF PKB Belts and they were a huge hit! 15 IKF PKB Signature Belts walked away with worthy champions who fought their hearts out to obtain them! The Novice division champions walked away with beautiful cups! 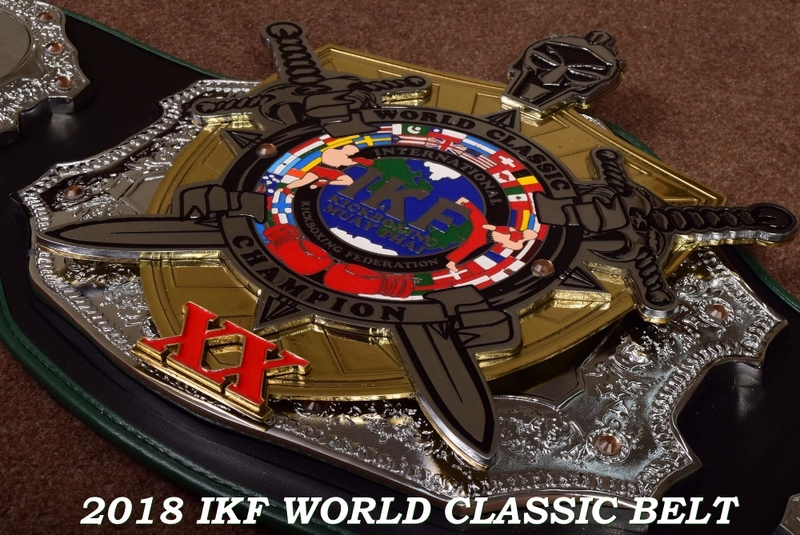 With a great crowd, music playing and so much great semi contact action, the IKF PKB World Classic Championship was a huge hit this year and more than likely will be even bigger next year! Special Thanks to all the officials and Staff that helped make this event successful. Special thanks to Lori Hubbard and Master Cha of Thai Top Team of Columbus, Georgia and their entire team who help the event run smoothly! IKF PKB Grand Champion: Eden Acebedo, Virginia Beach, Virginia, USA. 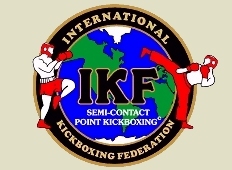 IKF PKB Grand Champion: Shawn McIntosh, Canada. Akira Reece, Orlando Florida, USA. Tibaijuka Abdu Nasser, Uganda, Africa. Honorable Mention: IKF PKB Champion: Nick Hubbell, Cape Coral, Florida is 70 years old and came to compete and was in shape and ready to go! There was no one willing to compete at the end of the day but we salute him for his determination! NO SHOW: Mathew Clark, Palm Beach, Florida was a no show after being matched with Christopher Crow. 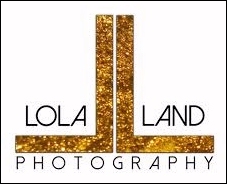 SHORT EVENT VIDEO CLIP - CLICK HERE.